Nice collection you got there. I want a krillin but geez his scale is sooo off compared to the other figures haha. Thanks bro. Yeah, especially when you compare him to Trunks and Vegeta. This is the first batch of SHF's I received! I have the complete or up-to-date DBZ collection now. I need to take a group pick...soon! Nice Raf! Love the set ups! Digging the photos so far Raf! Don't worry buddy, I won't leave you hanging in here all alone. I will have to work on some Naruto/Sasuke and Mario setups tomorrow. Now I just need Minato, Kakashi, Sage Naruto and Itachi to drop already. Man I am NOT looking forward to that bill. I have not even broken out the Mario sets yet since my place looks like a warzone with getting Transformers ready to sell. I would love to say Naruto would win that fight you set up but knowing Goku's ability to simply scream loudly and pull more power out of thin air I would have to give him the win on that one. Awesome...do it bro! Yes...Naruto won that battle but not the war! That remains to be seen, Lol! Here are two shelves I have in a Detolf. I own more Figuarts (Marvel & Star Wars), but this is what got me into collecting them. I need to get that Harley Quinn though. That's BEAUTIFUL! I always wondered what the SHF Power Rangers would look like unboxed. Wow! Awesome stuff! Thanks! I don't have all of the released ones, but I'm considering trying to get them since it seems as if the line isn't going to continue. 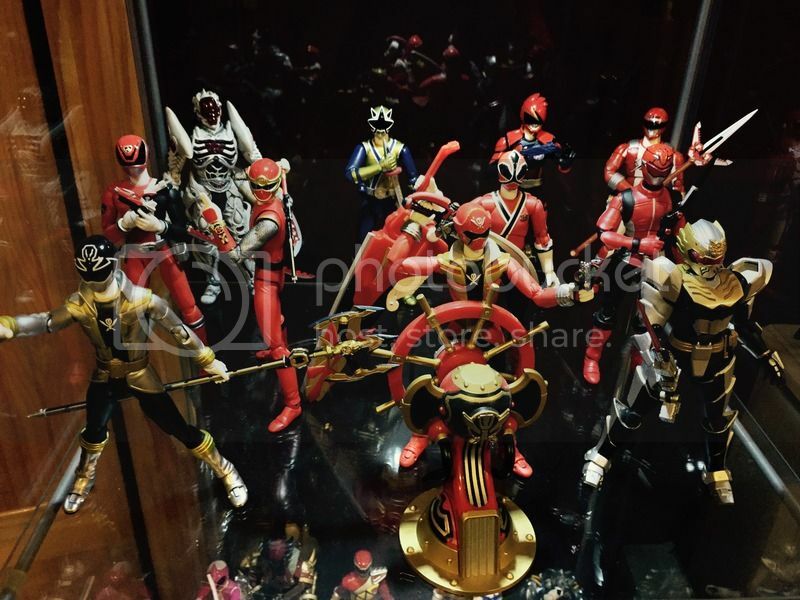 Unfortunate for me as I was hoping they'd do two of my favorite rangers (In Space Red & Zeo Gold). 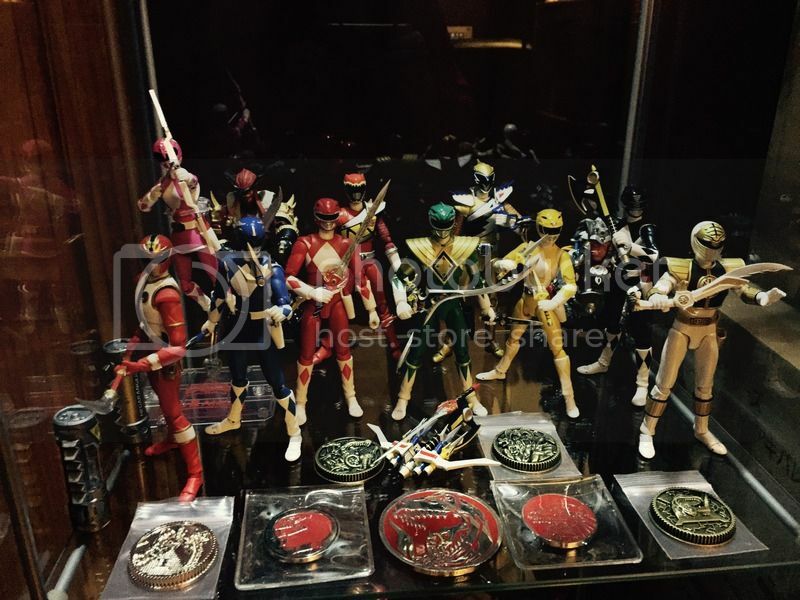 Wow, how many power ranger shf's were released then? You have a lot there. Also, where do you usually get yours from? There's so many of them. Seriously. All of the original Rangers are long past their production date. The only way to get them is for 3 or 4 times the original price on Ebay. The others I cannot comment about. I bought the Green and White Ranger when they were first released, and I bought them on Amazon for like $45. Edit: looks like the original Rangers aren't as expensive as I thought. Only the Green and Pink Ranger are really expensive. Last edited by Zorn88; 01-25-2016 at 12:06 PM..
As Zorn said, there are a ton. Here's a list of what has been released so far. I obtained mine mostly through Japanese import sites, but most of the MMPRs I got through US Amazon. Exclusives usually mean that they were only available through Bandai of Japan's website.